The Dornoch Distillery Company has launched its own crowdfunding campaign to raise enough capital to begin converting a 135-year-old fire station into a distillery. Simon and Phil Thompson plan to transform the Old Fire Station in Dornoch into a traditional Scotch whisky distillery. 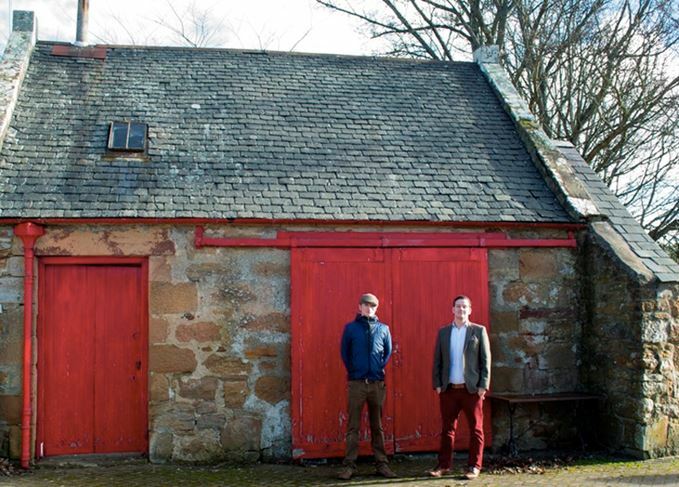 Phil and Simon Thompson, directors of the family-owned Dornoch Castle Hotel in Sutherland, Highlands, intend to build a traditional, organic microdistillery within the Old Fire Station at the hotel. The project has already received planning permission from Highland Council and work to transform the building is due to start imminently. The brothers are using the platform to generate funding without resorting to bank loans or private equity, and provided there are no regulatory or build delays, expect the distillery to be operational by August 2016. As part of the crowd funding campaign the Dornoch Distillery Company is offering five different levels of investment. Investors that donate a minimum of £50 will be given a bottle of first release gin, an official Dornoch distillery t-shirt and be eligible for special offers exclusive to founders. Those investing £2,000 – the top funding tier available – will get a Dornoch distillery octave cask (50 litres), a cask owner hoodie, a bottle of 5-year-old Dornoch single cask malt whisky, a bottle of the distillery’s first single malt at cask strength, and an opportunity to join the distillery’s experimental tasting panel, as well as other benefits. Just 100 of the top-tier investment option, which includes an octave cask, will be made available. Phil Thompson said: ‘We are looking for people to help us and support us with this project. It’s been a pretty heavy past 12 months, but we’re at a point where we’re ready to go. Once operational, Dornoch distillery will produce a traditional style of malt spirit made using heritage varieties of organic floor malted barley, brewers’ yeast, long fermentations in wooden washbacks made from oak, and direct-fired pot stills. An additional 2,000-litre pot and column still will also be used to produce gin and white spirits using organic cereals and botanicals. Simon Thompson said: ‘We’re trying to make a style of whisky which has long been extinct; a style that hasn’t existed since the 70s and before. Dornoch single malt whisky will be matured in organic ex-Bourbon, rye and Sherry casks, and bottled at either cask strength or 46% abv without chill filtration or added caramel colour. The distillery has the capacity to produce just 37,000 bottles of cask strength whisky per year. For more information on investing in the distillery, watch the video below and visit the Dornoch Distillery website. How a memorable Macallan sparked a passion for rare whiskies – especially those of a certain age. The distillery’s owners will use funds from the campaign to move production to a new, larger site. The thrill of opening rare bottles is even greater in the right company – and the right location. Filled with film screenings, rare distillery tours, live music and a profusion of ‘special’ drams. A mass tasting of the Campbeltown distillery’s 2016 release of 13 single cask single malts.